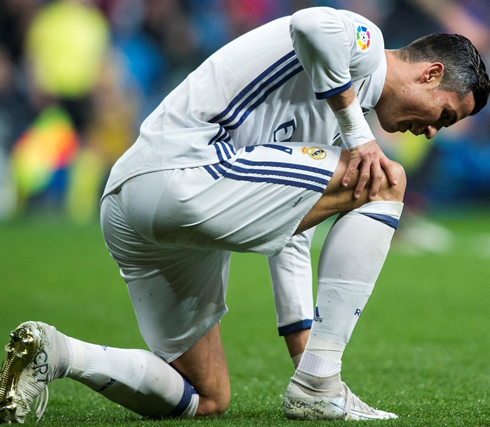 ﻿ What's wrong with Cristiano Ronaldo? 20.11.2017 » What's wrong with Cristiano Ronaldo? Last season was a prime example of this, in fact almost exactly a year ago at matchup without most recent opponent Atletico Madrid paved the way for a memoriable Ronaldo performance, a hattrick and as he peered into the camera and rubbed his chin (a photo that would become one of the more iconic photos in his career) it was almost as if he directly told his critics: "How you like me now?" A year later and it was a different story. The conquering of the Vicente Calderon was no more as Real Madrid struggled to break down Atletico at their new Wanda Metropolitano. The performance on the pitch itself wasn't bad per-se, but again, Madrid and Ronaldo specifically were inept in front of goal. Over fifty shots now and only one goal in the league. It's pretty much the worst conversion rate in Europe at this point and the pressure keeps mounting. We've seen Ronaldo go through droughts before, but nothing this drastic. And it all started so well with his goal against Barcelona in the Supercopa. That suspension seemed like a minor detour at the time but has, in fact, become a massive roadblock as Ronaldo looks incapable of achieving that same form anytime soon. Now, we've learned never to doubt Ronaldo. Every season it seems like it's finally the year he begins to decline and yet he continues to defy logic and conventional wisdom coming back stronger and stronger when it matters most. And true fans know that Ronaldo's loudest critic will always be himself. But is this it? 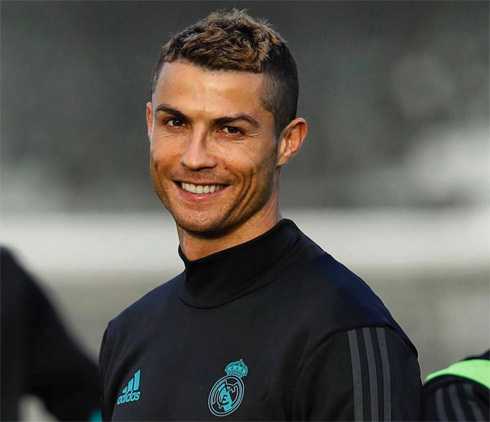 Father time catches up to everyone and with his 33rd birthday approaching in a few months question abound over Ronaldo's effectiveness going forward in what's essentially a young man's game. Cristiano Ronaldo next game for Real Madrid is on November 21 of 2017 against APOEL Nicosia. You can watch Juventus live stream, APOEL Nicosia vs Real Madrid, Sevilla vs Liverpool, Man City vs Feyenoord, Borussia Dortmund vs Tottenham, and Besiktas vs Porto, all matches provided from our sports streaming game pages.